There are some memories from childhood that I can replay in my mind, from start to finish. They are memories that left a mark, an impression that ultimately shaped my character in some specific way. I remember a sunny, warm day in Moscow, Idaho. I was five years old at the time. I don’t remember if I asked for one. What I do remember is that I stood at the grocery checkout with my sister and brother. As my mom interacted with the grocery clerk, I was standing in a strategic place where I could see a variety of gum, candy and chocolate. 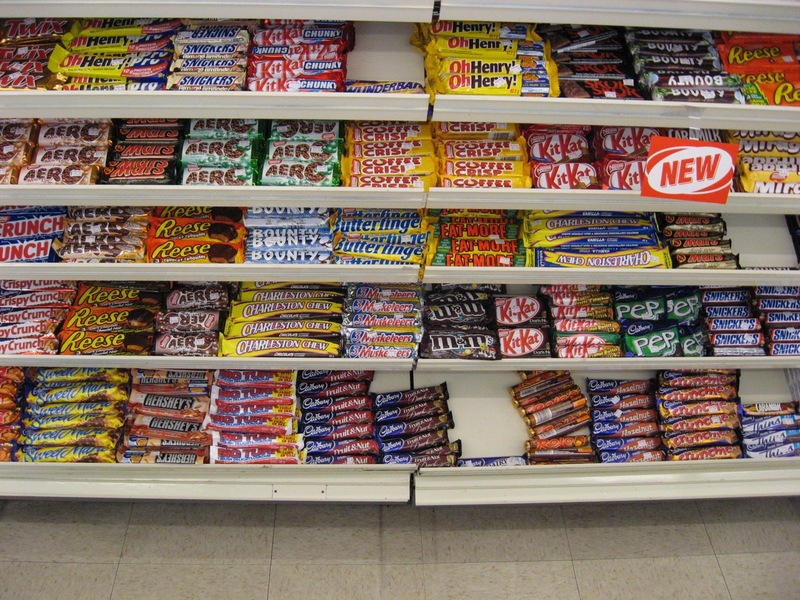 I decided that I wanted one of those chocolate bars. Seeing that my mom was otherwise occupied, seeing that my little brother was contained in the grocery cart, and seeing that my sister wasn’t looking, I reached over and took the bar and put it in my pocket. No one noticed. We walked to our car. My mom loaded the groceries into the car and drove us home. As she was unloading and packing away the groceries in the kitchen, I walked onto our deck. I crawled under our blue, picnic table and hid under its shade. I unwrapped my contraband and took my first bite. Just then, my little sister peered under the table. She saw the chocolate bar and saw my full mouth, and then called for my mom. My mom pulled me out from under the table and took the chocolate bar away from me. I was sent to my room. I’m not sure how long I was in there. That’s where my memory fades. However, when my dad entered the room and told me that I had to accompany him back to the store to confess my crime, I was mortified, shamed, and afraid. My dad gave me the money to pay for the half-eaten candy bar. He took me by the hand and led me to a grocery clerk. It was a lady. I’m not sure if it was the same clerk, or not. I hadn’t focused upon her when I was performing my crime. Nonetheless, I said what I had done and confessed. I asked for forgiveness. I repaid the debt; with my dad’s money. And then, my dad led me hand in hand back to our car and drove me home. I never stole a candy bar again. When I look upon that event in my life I see how my father led me through a powerful lesson. First, I was asked to repay a debt that I could not. I didn’t have any money. My dad offered the coins needed for the transgression. Second, I was asked to go immediately and make amends. My parents didn’t want time to pass on this offense. They wanted me to make atonement while the sting of shame was still strong. Third, I was asked to go and request forgiveness from those that I had harmed. In all, my dad led me by the hand, stood with me while I admitted my sin, paid my debt, hugged me, and led me home. I imagine the store clerk may have thought it was a cute, harmless exercise for me. However, in my five-year old mind, I was devastated! Today, though, I see my parents’ wisdom and love in helping me deal with this offense straightaway. Instead of letting guilt, shame, or something else grow inside my heart, they helped me receive the gift of loving forgiveness. The other powerful gift I received was that instead of sending me in alone to deal with it, my dad accompanied me. He walked every step of the way in my redemptive journey; by my side. I see Christ walking a similar journey with each of us. When we commit a transgression, like deceit, like gossip, like envy, like bitterness of spirit, like fear of man or situation, like worry, or any other self-centered behavior, we have an opportunity like I was given. Each day, we can ask that our heavenly Father forgive our debts. We can go before Him and ask Him to free us from the debt we owe for our sin. Jesus, like my dad did that day in Moscow, Idaho, paid the debt long ago. Jesus goes with us before the Father. The Holy Spirit prompts us and guides us. We do not go alone. And once we do confess, we are embraced in loving compassion, in loving grace, and in loving security. We experience a blessed washing of sanctification through our Savior and Lord. What incredible words of confession and honor! May we pray with such heartfelt devotion and reverence as we confess our sins before our Heavenly Father. We do not do it alone. Our Savior, Jesus Christ, our High Priest, goes with us, prays with us, intercedes for us, and has already paid the price for us. May we feel the embrace of His love and His grace as we kneel before the Mercy Seat.